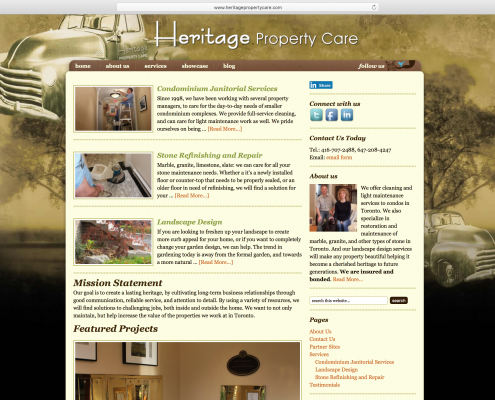 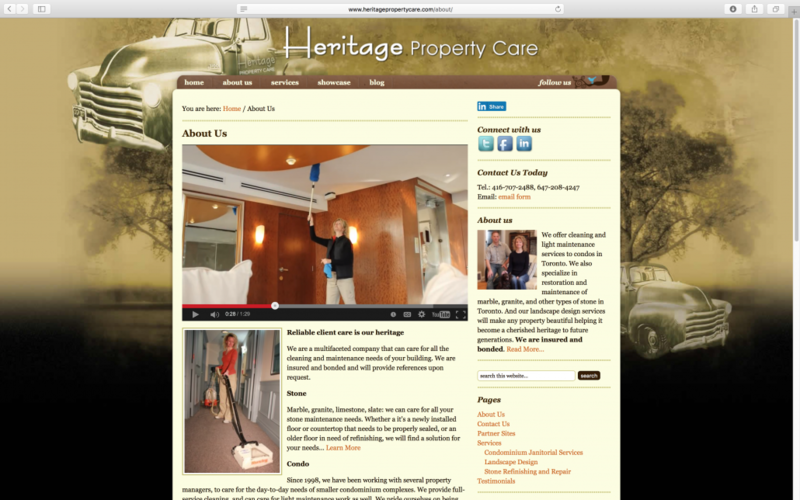 The owners of this Toronto, Ontario, based property maintenance company needed re-branding services for their new business name: Heritage Property Care. 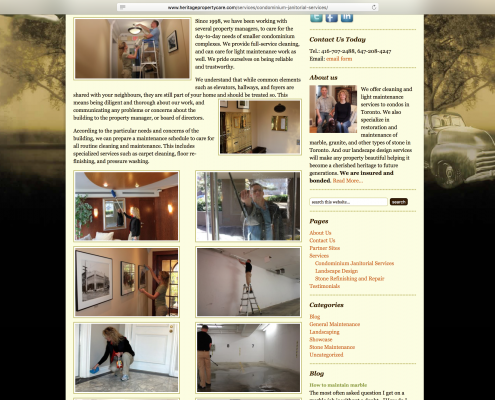 They came to TCK Media to help them develop their online presence, increase their visibility on the search engines, and integrate social media into the marketing mix. 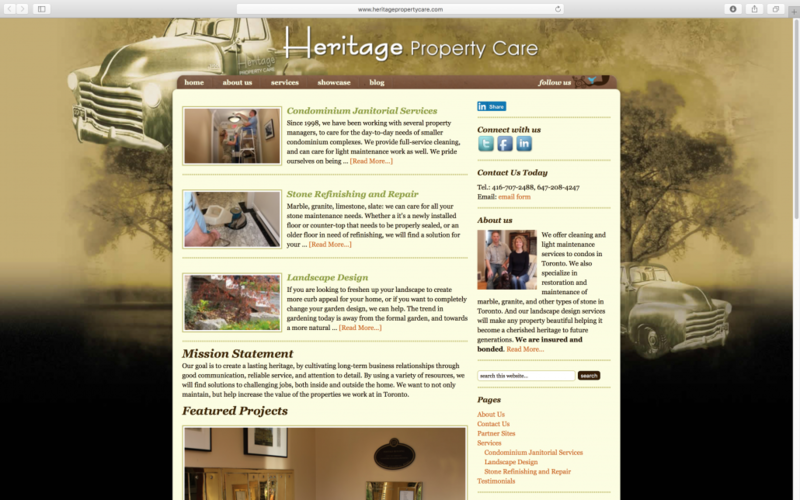 They had a clear vision for their website and brand: rustic look-and-feel with emphasis on ageless heritage properties that included stone restoration and landscape design. 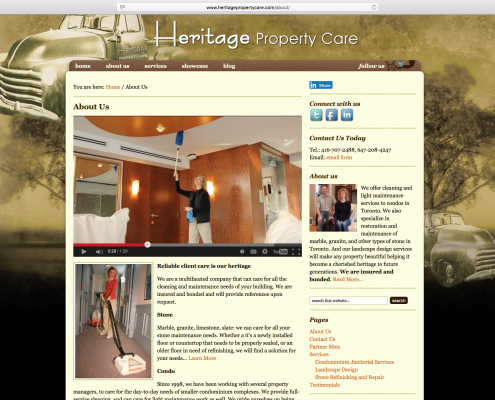 Within 3 months the website was ranked in the top 10 for all targeted keywords. 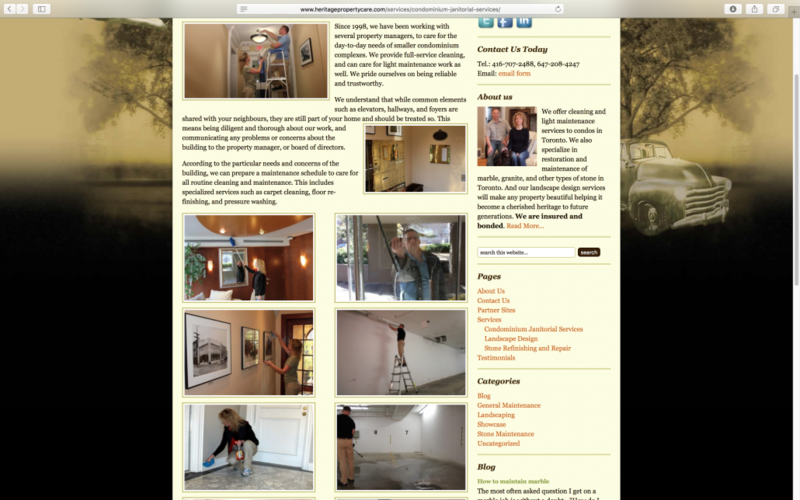 Website was integrated with Twitter, LinkedIn, and Facebook, which resulted in increased brand awareness, targeted traffic and positive testimonials.